The good news is, that’s correct! There are some potentially excellent deals out there on Auto-Sleepers vehicles that are in good used condition. However – a word or two of realism. Motorhomes are not cars! Firstly, they are in hot demand and that means that there aren’t that many used ones around. Secondly, while very substantial price reductions can be obtained on a typical second-hand car versus the same thing new, that’s typically not the case with motorhomes. Motorhomes typically hold their values well and depreciate slowly. So, don’t expect give-away prices on a motorhome just because it’s, say, 24 months old. 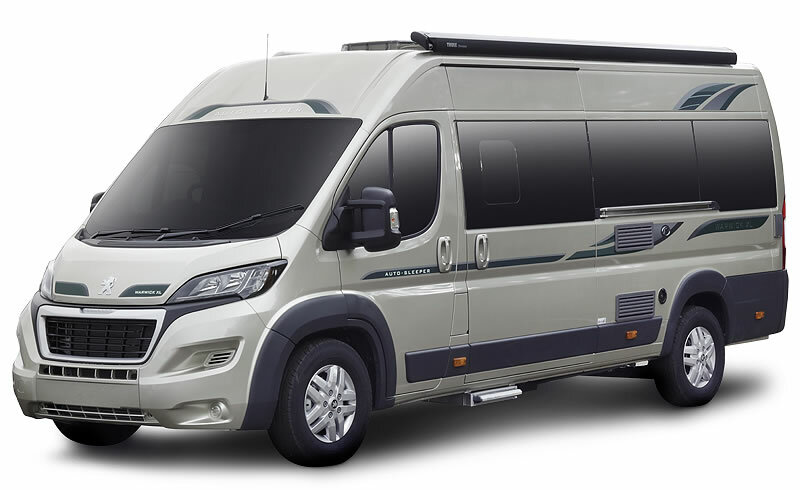 Typically, you should be able to obtain motorhome finance on an Auto-Sleepers vehicle providing it is in good condition with a verifiable history. Of course, you may need to meet certain criteria as an applicant (e.g. your credit score). Reputable dealers offering pre-used Auto-Sleepers motorhomes for sale should also be able to offer you advice on motorhome finance. Experienced dealerships or an expert mechanic specializing in motorhomes will usually be able to determine very quickly the true condition of one of these vehicles being offered for sale. If you don’t have that level of technical knowledge or experience, be cautious if you are purchasing from a private individual, as opposed to a dealership. Auto-Sleepers motorhomes are extremely robust vehicles that have been constructed to the highest quality standards but even so, if a previous owner has mistreated it or simply failed to maintain it correctly, there may be issues that you as a novice just won’t spot. If you’re buying privately, make sure you take someone with you who has in-depth knowledge of the model you are considering and who is fully qualified to give you some objective hard advice. Post-sales support can be extremely important. Just like any other motor vehicle, motorhomes sometimes require expert maintenance plus some care and attention. When purchasing used vehicles from an established dealership you should expect to see all these things provided as part of the deal. If you are purchasing from a private individual, the law may offer you very little by way of consumer protection. That’s not to say you shouldn’t consider such an avenue but you need to be cautious. It’s sometimes possible to look at pre-used motorhomes and spot enhancements and modifications that were simply never part of the original design specification. That can happen sometimes if the previous owner was something of a tinkerer or someone who perhaps had over-ambitious ideas for improving on what is already acknowledged to be an excellent design. Be aware that such modifications might actually reduce the value of a vehicle unless they were installed by a professional who used only approved parts/materials. They can also at times hide a multitude of sins behind them in terms of the owner’s previous failed attempts to get it right. In fact, many dealers will remove such customisations and check “behind the scenes” to make sure all is OK before sale. Again, if this hasn’t been done or you’re buying privately, be sure you understand what has been done, why and by whom.